She was trying to "help" his husband think on what to get her for Christmas here: GANDA'S TAG FROM WILL. It was in "desperation" why she had to write what she wanted because many times she caught him browsing the net(eBay)for a laptop. She was confident his better half would want her organize her writings and he would be willing to give her - her own personal computer. So, the "treadmill" was her way of disapproving subtly with out declaring war(lol). "Heck, we don't need another computer!" her mind spoke. They have a store room underground and the wife asked the husband for the keys that weren't on it's usual place. He beseeched what his wife needed from the room and volunteered to get it for her. Huh? Strange! Volunteered? Strange! Then the third time she needed something from downstairs, he gave her the keys. "Oh mheeen, where's the love?...hahaha... where's the enthusiast of getting things for me? ", again, the wife's mind spoke. Worst than a child, he seriously "demanded" to open his present when its more than a week before Christmas. "Why? ", the wife asked and he replied, "Nakita mon ti gift ko(you already saw my gift)!".... Huh?... "When? Why? Where?" she asked in protest. "Makikita dita matam! "(it shows in your eyes), the husband "accused her" with out the benefit nor reasonable to what ever doubt there is(hahaha). And she swore, she's not guilty and firmly stood her stand, "I haven't seen what ever that is!". There goes the surprise, he gave it away hahaha... The wife thought, if its a treadmill, it would be too bulky in the storeroom and she would have surely seen it. If its a laptop, the store room would be a dangerous keeping place for such an expensive thing because its damp and full of junk. "Hmmmnnn, we put all the bikes down there during winter and only me who doesn't have a bike. Ahah, SO ITS A BIKE! ", she guessed. But, the husband said no and the wife never went in the store room to "investigate"(lol). Christmas Eve. Everyone opened their gifts except the wife. The husband said she'll have to wait for Christmas morning. "DARE!" the wife answered. "... And you will never get "lucky" in a million years! ", she annoyingly added. Bribing never fails to work, the husband stormed the cold and went to get her wife's gift. SHE: I thought its a treadmill. HE: It would be too big for our small house and the kids will ruin it knowing how they're fond of pressing "buttons". SHE: Yeah and I prefer the bike. I can just imagine our rides and picnics on summer..... I thought its a laptop. Before 2008 will finally go to the "archives", I'll sweep my "utang" away. Have to answer 3 questions from Teacher Julie's GreenBucks. WQ 29: Are you happy? Some people travel and go far places just to search for happiness. Take Liz the author of Eat, Pray, Love, she went as far as Italy, India and Indonesia. And one, among the many things she wrote that I totally agree with, she said that happiness is a "state of mind" that you yourself make. I'm just very thankful I don't need to "cross over" just to be happy. Monotonous and equally obvious as it may seem, I will always write that my family (Boogs, Lukie, Dylan, my Dad, my brothers and sisters, my nephews and nieces, my father in law, Mama Becca and Beng) would be enough to give me that "state of feeling", needless of making it as a "state of mind". So YES, I am happy! WQ 30: What are the Christmas traditions you and your family practice? Nothing big but recently, we're making it official, a traditional photo shoot for that "frame-able" family portrait on Christmas eve. (How vain and lame hahaha...) Another is ordering pizza and fries for Noche Buena (that would already be a GIFT for a cooking mama). Last one would be - just the four of us on Christmas eve. Its the second year we've done this and the kids enjoyed our full attention. Its the second year we didn't go to some invites or us inviting people. Its more intimate and relaxing. We could get to dance with Lukie and Dylan with their favorite CD - the Chipmunks. WQ 31: How was your Christmas? It was fun and full of surprises. WQ Question 30 is all about it for the Christmas eve aside from opening our gifts from family, cousins and friends. 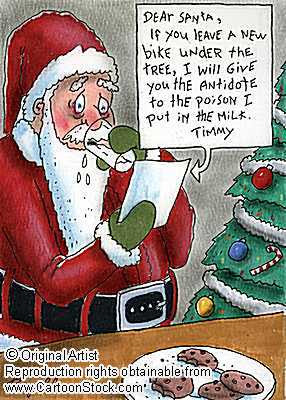 Then on Christmas morning, the kids opened their presents form Santa. And later, my sister's family and some neighbors came for lunch. Christmas morning. Lukie wasn't as enthusiastic as he did during our gift opening on Christmas eve. I haven't seen "this look"(picture below) he had last night. Flash back.......just after Halloween, Lukie asked me to prepare for Christmas. He told me that Santa might be very busy and can't see our home if we don't decorate early. He came from school the next day and had his request granted. From then on every grace before meals he adds, "....... for the love of Christmas........ the house is ready....... Santa is coming". Then my son made his Christmas list and also did his brother's. Its all up for Santa now to decide if Lukie had been "naughty or nice". LUKIE: (looked at me seriously and said in Italian) "Mama, I know what's inside it. I wrote the list, remember?". What frugal or practical Christmas tips (does your family practice) that you can share to cut down on Christmas-related expenses but not necessarily sacrificing on quality? Since real live tree for a Christmas tree is NOT frequently used here, "reusing" our 6 years old artificial one is I believe economical itself. (I would prefer a real fir tree though. But transporting it from an hour travel with the boat, I'd stick with my fake ornamented evergreen). When we first bought our Christmas tree, silver and blue were the theme color of our decors using Lukie's excess tokens during his baptism. Its a mini basket with a little baby figurine that was made in the Philippines. I just added silver ribbons to go with it. I changed our motif into gold and red two years ago giving in to my husband's comment that the blue and silver is more of "for adults". He suggested that it would be more exciting for the kids seeing bright and bold colors(Yeah, more catchy for Dylan who runs away like a thief with the red balls). Only the Christmas lights and the Christmas balls were bought, the ribbons were recycled. Its a gold fish net that was used to wrap a big gift before. I just cut it and made it into bows. The angel came from the hotel where my husband works. They change Christmas decors yearly so we're happy with their "hand me downs". Out in our terrace I used real tree branches I had cut from outside. I just bought gold and red strips and made bows and flowers out of it. the blue balls were from my old blings. Our windows too, adorned with "true" branches and old ornaments from the hotel. Lastly, my gift wrappers. I bought a plain red paper, the cheapest in IKEA costing only 1.40 euros (10 meters long and 1 meter in width). Then a simple white ribbon(10m) for 99 cents and gold costing 2 euros more. It wrapped 3/4 of the gifts I sent to our friends and relatives. I also asked some stores where I bought some of our give aways to wrap it or they give me the wrapper and I'll do it at home. The group's name is "coolness" itself 'aight'? Been clicking around their YouTube videos and they're really good. My favorite is their "Teen Sensation Medly". Maybe I need to upload Boog's videos soon. His "singing powers" might make us rich hahaha! Lukie gave us his Christmas present. Its not wrapped, its huge but not tangible and I think, its the best gift a parent would ever ask for. Yesterday was our son's 'Colloqui Individuali'. Its a one on one talk with the teacher(s) and they will evaluate your child's performance at school. Though I've been having this twice a year since Lukie entered day care, this year is different because he is in Grade I. Unlike in the Philippines where Kinder pupils could already read "ba-be-bi-bo-bu", Italy starts their formal education only at first grade. 'Scoula Materna' or the 3 years prior to elementary is purely "play school". I had my 30 minutes turn with Lukie's Teacher Orietta(class adviser) and Cintia, pretty and young Math teacher. I haven't sat yet, they already congratulated me for having an "eccezionalmente intelligente e ben educato figlio" (exceptionally intelligent and well mannered son). "Hurayy! "(my mind shouted in glee). Teacher Orietta continued to "lift my chair" saying they could see I'm giving 'tanti tempo'(much or more time) in teaching my son and they asked me how am I doing it. Then I corrected her, "Noooo, that's not true!... (I'll elaborate this further on my next post). Always with the word 'bravissimo' (excellent), she told me Lukie works so precise with everything, writes legibly and neatly and thinks first before he does what is instructed to him or to the class. She gestured how my son puts his index finger on his temple before he would say, "ahhh yes, okey!". In Italian, I like what teacher Orietta said about Lukie having a "wider range of thinking and intelligence" than any of the other kids in his class. I was waiting for the bomb to drop and it ain't coming so I asked the teacher if my son is always serious. A loud "NOT AT ALL!" from Cintia, the Math teacher as she shares that my son smiles most of the time, laughs easily and plays and gets along with everyone. "Another huraay! "(from my mind in glee). That's an improvement if not an achievement for Lukie because it had been the negative comment from her teachers in 'Scoula Materna' along with how much he eats during lunch. These teachers just told me that my son is eating well. If he doesn't, then he eats big pieces of bread to compensate his less intake. Still not quitting, I asked if my son is being too perfectionist. This is true because every deatail of his school works or assignments, he does and copies it perfectly, specially if asked to copy a drawing or a picture. Another relieving words from Maestra orietta in Italian, "At this moment its the best thing for Lukie to do or be, only during adult life that "perfectionism" is an issue for argument". Hmmnn? "Sperriamo che Lukie e sempre cosi! "(We hope Lukie stays the same), My son's teachers wished him well. Teacher pretty Cintia made 'pahabol' too, "Ooohh, anche bravo in canestro sai!" (He is also 'bravo' in playing basketball). "Aysus, talaga nga Pilipino ti anak ta mo!" I told my husband and we LAUGHED OUT LOUD with pride for what was all said for the the day. It happened to me many times. Picking up a book just to have something to read and I'll end up treasuring every word it spoke. Another clincher that sometimes, best things breeze in when you least expected it. Its not only true with books, or gifts, or food(does this need to be on the list) but also with people that comes along. 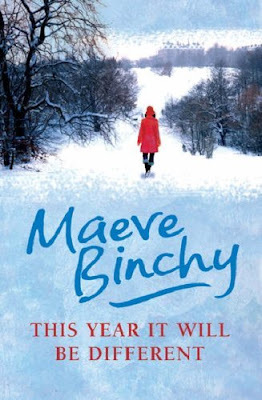 This Year It Will Be Different by Maeve Binchy - is a compilation of 15 short stories all in Christmas setting. Each tells NOT the usual "so good to be true" on how this season is anticipated, spent and viewed. A realistic characterization of contemporary individuals that will make you say, "Hmmnn, I know him/her!" There's one story in this book about a wife who made her Christmas different by not doing the usual preparations for the holiday. She did not decorate the house, did not bake the traditional goodies to be feasted on and declared a "strike" on "domesticity". She got tired of enslaving herself from her 3 grown up children and her husband so she decided to join them. When she goes home from work, she avoided the kitchen and sat in front of the TV like everybody does. "Mom aren't you going to do supper?" were the question on her family's faces, yet she ignored and continued to enjoy her "protest". Her family realized how they took her for granted and started to work and help in any way they can. The mother still glued to the tube while the rest were always having "family meeting" in the kitchen. Eavesdropping at times, she knew her points were being taken. One day as Christmas day draws nearer, the family asked the mother to come home hours later and maybe go out for a drink after work. How her "drama" paid off, her children and husband will prepare her a grand dinner that never in her life she imagined to ever take place, or so, she amused herself. Excited to finally get home after a toast for success in the bar with a friend, the house was all lit and her family led her to the kitchen eyes closed. Taaadahhh!!! She opened her eyes and there's her surprise, a A NEW TV in the kitchen Ohmygoshhh! Hehehe kadi...The conclusion was a realization by the mother that changes come one step at a time. 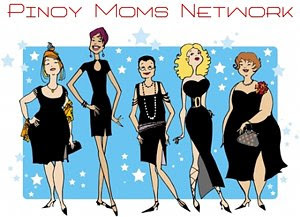 Transformation doesn't happen overnight and she also understood that she contributed to why her husband and children depended everything on her. She made them to.... So at the same night, there she was, the mother, preparing an instant supper of can goods and other quickie stuff. Dylan's 2nd Birthday. Good health and a happy childhood to you our precious little "D". What special Christmas memories do you still cherish as the years pass by? Every single Christmas for me is special. To be surrounded with the warmth of my family alone is enough for me to cherish, what ever day it is. I'm always thankful that at this point of my life, I have Boogie, Lukie and Dylan to spend this season of joy. And of course, to join me in celebrating Big J's birthday - No matter how simple it is and even chaotic at times when my kids are sick. Below are some of my earlier memories of Christmas that might have made me fondle Christmas like a child. A child at heart who wants to pass it to her little boys - the wonders of believing in something magical and extra ordinary. 1. When I get home from school and my Mama had hung all the Christmas decors. I'm simply happy and relieved that this day of the year "finally came". 3. When we were kids, the whole clan (my father's siblings and their children) goes to ASIN (swimming pool or hot springs known in Baguio) and overnight at the beach on New Year's eve or Christmas at the beach and Asin on New Years Day. 4. 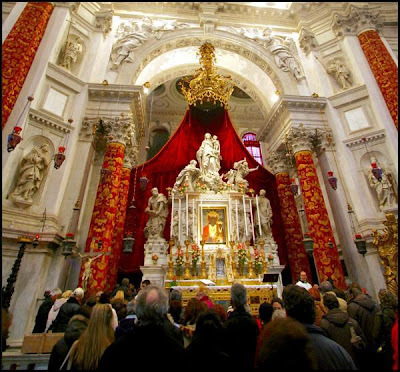 Midnight Mass in Acop Tublay when I was younger. Then in our place in Ambassador when I was already in college. We used to organize the reenactment of Jesus Christ's birth before the mass. Me and my sisters sing for the choir and I play the guitar. 5. My Mama and Dad cooking for our Noche Buena. 6. 24th of December is probably the only night of the year we could stay up late. 7. Bonfires at home when we don't go out of town. 8. Once, my Dad held a Christmas party in his farm in Babatan. This place has no electricity and all the people there are simple farmers. We had 'bin-nunot'(I don't know how to translate it hehehe) or exchange gifts with everyone. I remember, the one who got my name gave me a hen. I was disappointed cause I gave a T-shirt in exchange for a chicken. That hen lived and gave us so many eggs and native chickens for 'pinikpikan'. Looking back at it now, no gift could be better than that. 9. Then the T-shirt I gave with a print, "World's greatest lover! ", to Uncle Dimas (everyone is an uncle in my hometown, even if you're not related), he wears it in every occasion I have seen him. From Canaos to school closing programs, campaigns during election time and even 'barangay' meetings he attends to. I gave that T-shirt when I was still in elementary. And last 2004, when I went home to the Philippines with Lukie, I saw him wearing it at my sister's wedding. How about that to remind you of what you gave for Christmas? He wears it not for the proclamation of him being "The world's greatest lover" but because its the only t-shirt he has and could wear for any "special day". Lukie started saying this prayer when he was 3 years old. Before he turned 5, "the angels" could only understand the first and last word of each line. Words in between, my son lets them figure it out(lol). Endearingly closes his eyes and clasps his hands, Lukie prays, "Angelllll____ God, Myyyyy___ dear. Tooooo______ love.....". From the time I started composing my son's readiness of sleeping in his own room, he actually did the big leap a week before. When his 'cameretta'(bed) was delivered and put up, he asked if he could sleep on it that very night. For a week I didn't let him because the smell of the paint is still there (when it was actually a water-base paint and not really that smelly). I'm aware, I did never run out of reasons for that room NOT to be finally of use: Comforter's cover is not yet ready.... Since everything is new, I don't want to use any of the old ones (which, still looks new). The carpet hasn't arrived yet.... we need more containers for the toys.... and all other lacking depth excuses I am probably making up. Less guilt for my "controlling" behavior because I share it with my better half. My husband too, he said the room would be too cold for Lukie on his own. He even suggested we'll wait till Dylan could give big brother that company. There's also the fear of Lukie hating his brother more. Thinking, he was and is to be "physically removed" from his bed. And now, from his known room to another. Indeed it did and still it does. November 2, 2008, I tucked Lukie in for the very first time on his new bed, new room and into his first big step towards independence. A smile of excitement, relief and pride on my son's face crushed (literally) my heart when I finally covered him with his blanket. My guilt too of keeping him a baby breaks, pounds and grinds every inch of me. How I held those tears not to flow. "Ahhhh, how comfortable!" my son said, still with that smile. "Mi piace! "(I like it!) he keeps on repeating. I'm so ashamed I can not leave his room and I keep stroking his hair while giving him pecks of kisses. "Bouna notte"(good night) were said a hundred times with I love yous but I just can't let my self out. I was, in a way, proud of him because his enthusiasm didn't dwindle after all my (our) excuses. I could feel he felt he won his autonomy. My conscience told me, "....the kid just loved what you did to his room! Hello? He isn't back packing for the Amazons!" and I hated "me" for that. Its hard to concede from your ego specially when she is boldly RIGHT. More than a month had passed, Lukie never came on our bed. "Niente brutto sognio"(no bad dreams) he tells me. I keep on persuading him to sleep with me and Dylan when my husband works night shift. "Why?" he asked me once and I told him to fill his Papa's space. He declined.... always declines. My son's only request when I leave his room, "Mama, leave my door open please!". That is hope for me. Behind all the his wanted independence, now and more to come in the future, the "open door" is Mama or Papa. He knows we are still in the next room and would slay his dragons when he needs us to. Funny because after all these, I became a "night walker". "I need to pee" is my excuse. And before going back to my bed, I drop by Lukie's room and make sure he is well covered. Boogie? Oh, we take turns hahaha... he too goes to check on his son. Again-again..... But, until then, I'll cherish all these experiences because it is yet another reminder and will stay as one to nudge me that my children will not stay KIDS forever. They actually grow, like I did. They'll leave and will have a family of their own, like I did. Now I miss my Dad, he used to tell us all of these. I just felt what he had been feeling as he "gives" one daughter "away". Pahabol: I hope to post more pix of the room. What a day to start the month. December 1st, ACTV (company for Venice's public transport:boat and buses) was on strike. Only the 'Motonave' or the big boat/ship was utilized with limited and scheduled trips. Highest tide, a record after twenty years, made it worst (read this: International Herald Tribune). Add that, it was windy and raining too. The day for me was saved by this old lady (around 60 years old) in the boat on my way to Lido Venezia. She was wearing a skirt. A man, about 5 years younger, passed by her side and his umbrella touched the old lady's left leg. "Mama mia, what was that?" the surprised lady spoke in Italian.Then she saw it was the man's umbrella. "Ugh, scusa(sorry)!" he apologized. "Its okay, I was just wondering what was that thing touching me." she answered laughing. The man replied, "For sure, it wasn't my hand hahaha!". Then the old lady said, "I wouldn't mind... its voluntarily offered hehehe!".... How it all made everyone in the boat laugh. I heard mine - THE LOUDEST! What are the special things that you look forward to every Sunday? Almost like everybody else, Sunday for us should start with sleeping in. Getting up when everyone's fed up lying down. When we put up the 'taparello'(blinds)and the kids hide under the quilt, like little Draculas, afraid of the glaring Sun. Its Papa's day off so it must be a lazy day. We're the couch family watching DVDs or just joining the kids in watching their cartoon films or shows. If we will not go out, Its fried chicken day for Lukie. If its summer, its Barbecue day. Most of time its having lunch at any Pinoy homes or wherever a friend or relative holds his/her party. If you will not go, your phone won't stop ringing and they will even send off people to get you. Its also a day being with my 3 sisters as we eat, talk and eat and eat hehehe... On Monday, makes me wonder how easy it is to store 2.2 pounds. What kinds of gifts do you give to your loved ones during Christmas? How do you choose what to give? I prefer giving gifts that will make people warm specially so that its winter and its really cold here. I love giving out wool sweaters(cashmere 'sana' but its too expensive). For my husband, whatever he needs (as long as I can afford it) but I make sure it will really-really surprise him. One of Dylan's "must have" this Christmas is a toy computer. We hope it will help him quit "working" on our PC which he had already broken it's power button. For Lukie, since he knows how to write, he makes his list and leaves it for Santa to do the magic. Last week, I told him to get a whole piece of bond paper and scribble down what he wants for Christmas. He came back with a 1/4 sheet, the small piece I tore for my grocery list. Mama: Why.... that's too small honey! Get a whole page! Lukie: No! Its too big for me to fill it all up! Mama: Don't you want a lot of presents? Lukie: Yes but... Its hard to think. 'Abiamo tutto'(We have it all)! I took my sister Jie with me when I went to wash our winter curtains. I just remembered I had put them in the store room unclean. I should have brought it to the laundry when I changed it with the summer ones. Next time, I will store it clean ready to be hung. (Yeah right! Husband is betting I'll do the usuals...lol..). (laundry house) is indeed practical. Drying would even be a lot easier. There's this old Italian lady waiting for her clothes to dry when we got there. The other huge dryer is at work and 6 more minutes before it's time is up. "Its not mine. I haven't seen the owner since I came here hours ago", the lady said in Italian as she shrugs and extends her neck with her mouth protruding followed by the nose. 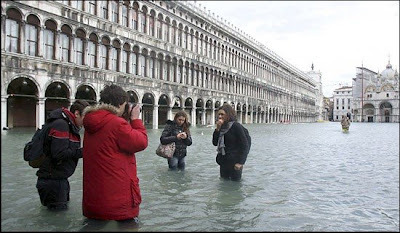 A typical mannerism for Venetians. Its sarcasm when translated in words. Then she told us about the last time she came to use the dryer. Same thing, there were dried clothes in the dryer and its unattended. Naturally, she took it out because its already dry, put it in a basket and replaced it with her stuff. The owner of the "abandoned laundry" came. "You have no right to touch my things!" she shouted to the Italian old lady and they argued "come mata"(like crazy) the lady tells us. "She should have not left her things and for that, she had no right to be angry! ", she added. Before the Italian lady went back to her magazine, sensing maybe that she talked a lot and forgot we're strangers, she spoke in wisdom, "Va be'... non siamo uguali... PER FORTUNA!" (WE ARE NOT ALL THE SAME....FORTUNATELY). CAVALLINO-TREPORTI IN FILTERS:(Credits to my photographer: Musashiboogie). Here's the rule: Remove 1 question from the list below, and add your own personal question to make it a total of 20 questions. Tag 8 people, list them out at the end of this post. Notify them in their chat box that he/she has been tagged. Whoever does the tag will have blessings from all. 3. If you can have a superpower, what would it be? to be like cupid, spreading "the" luuuvvv(if you call that a superpower ah kano). 4. If you can travel anywhere in the world, where would you want to go? Philippines. 6. When you get sad, what do you do? Cry and then write. 7. What are you afraid to lose the most? My family. 8. If you win $1 million, what would you do with the money? Spend some, save some and give some. 9. What do you love the most last year (2007)? Almost everything, maybe. 10. How did you get your name? I was born on Valentines Day. 11. What is the moment you regret most? I can't remember any for now. 12. What type of person do you hate the most? Racist and bitter people. 13. What is your greatest asset? I believe its my hearty laugh. 14. If you had one wish, what would you wish for? For all my wishes come true(lol). 15. How did you celebrate the New Year? Fireworks at home with my family and a friend's family. 17. It's 2008. What are you looking forward to this year? Nothing much, I'll make the most out of whatever will come. 20. What material gift you most want for Christmas? (Oh this is my question! A hint for the husband if he'll read this hahaha....) Like the one the man is using above(lol)... Its so cold now to jog out door, a treadmill would be great(for now). Now I'm tagging Hannah, Jane, Izma, Noeds, Boogs, Beng, Russel(write it on the comment section), Nikki and TruBlue(if you're up to it, write it here too).